◎Pictures of that beautifully presented cuisine, that perfectly sculptured garden, that sacred shrine emitting a divine radiance, taken during your visit in Japan could be even further enriched with knowledge of their story that lay in the background? ◎Baffled about why things are done or presented a certain way at a certain time but do not possess the articulacy in the local language to express it? ◎You’ve always wanted to experience first-hand the true Japanese culture as felt by the locals but have never gotten the chance to? 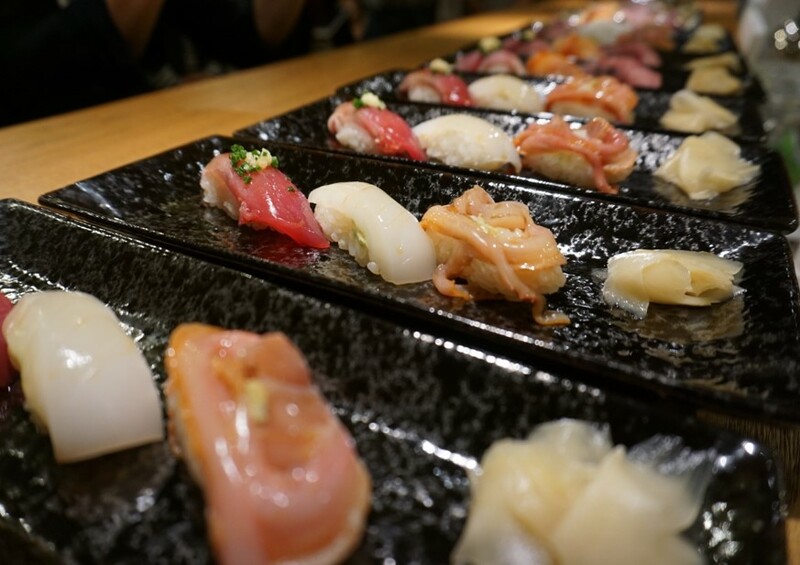 Veteran sushi chef Hiroki Kubota and international sake sommelier Kaori Isono will provide a special Japanese food selection at this Sushi and Japanese Sake Experience. Mr. Kubota will prepare over ten types of fresh fish, and you will get to choose up to 5 pieces to try from his selection. Let’s eat sushi and see these technique of preparing sushi! Also, Ms. Isono will select and prepare some types of Japanese sake. She will also introduce their histories and talk about where they are made. ※ Registering attendance on this facebook event page does not reserve your place at this event – please ensure to book your place using the above application form. At UDS , we trace our origins to 1992 and the establishment of Urban Design System, a design firm dedicated to creating fully enjoyable urban living arrangements that function as systems designed for business feasibility and community life. Our fundamental attitude is one of enjoying our work as we constantly, deliberately pursue design excellence, feasibility and a community-oriented approach. What we consider “fun work” consists in making our clients happy and generating solid profit by coming up with things and ideas that we ourselves would like to have, and which benefit society. Having been in operation for nearly a quarter of a century now, we are grateful to everyone for having been able to navigate our way through some turbulent waters. During that time, we have expanded our areas of activity from cooperative housing with a community development orientation to hotels, as well as commercial and public facilities. One thing that has never changed since our founding, however, is our commitment to truly grasping the needs of our clients and of local communities, and doing work that earns praise by exceeding expectations. This is why we incorporate planning, design and operation into proposals that strike a comprehensive balance. Samurai Meetups is an NPO non profit organization whose objective is to help Japan become a nation where foreign tourists and visitors can have unforgettable and unique experiences. This is being achieved through creating opportunities where local areas and everyday culture of Japan can be intimately experienced with the ever growing network of specialists in Japanese culture. Instead of just imagining what it would be like, come, and experience first-hand the true Japanese spirit as no foreigner has ever experienced before! 2007 to present –Hosting kids’ English school at home. March 2014 –Finished seventh ”Workshop for female entrepreneurs” at Totsuka. April 2014 –Attended Sake associated party. Hosted a lecture and event of Sake. Opened Yokohama Osaketei(横浜 桜酒亭), sake gift shop. Cooking with heart and fresh products, I want to provide you with delicious sushis. By preparing them, I hope to build bonds between people.